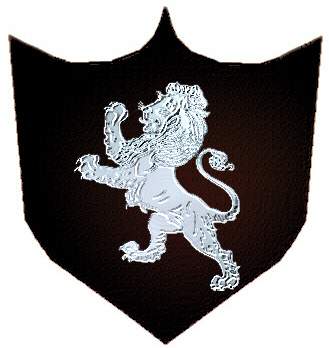 Coat of Arms: A black shield with a silver lion rampant. 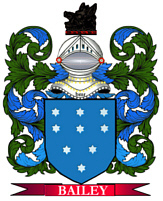 Crest: A silver lion sejant. 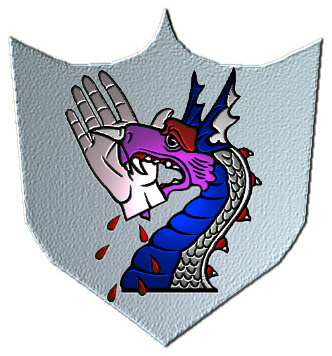 Coat of Arms: A silver shield with a dragon's head and neck holding in the mouth a bloody hand proper.